Canadian bacon isn't really bacon, but it's not quite ham, either. 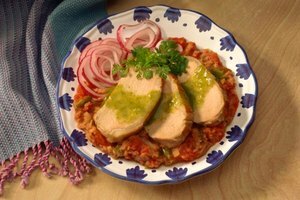 Rather, it's a cured and smoked pork loin, which typically comes sliced and packaged as discs. A key ingredient in eggs Benedict, Canadian bacon is meatier than regular bacon, as it is cut from the back side of the pig. Because it's pre-cooked, you only need to reheat Canadian bacon to enjoy. Pan-frying it sliced is easiest, but you can always pop the slices it in the oven to broil or roast it whole, glazed like a holiday ham. Drizzle vegetable or canola oil into a large frying pan and set it over medium-high heat on the stove. Add sliced or chopped Canadian bacon to the hot oil and let it cook for 2 to 3 minutes. Flip the Canadian bacon over with a spatula and cook the other side for another 2 to 3 minutes, until fully heated through. Serve hot. Turn your oven to the high broiler setting. Place an oven rack just a few inches from the broiler heat source. 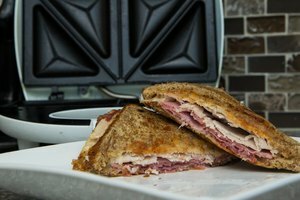 Lay sliced Canadian bacon on a baking sheet or broiler pan in a single layer. You can brush the slices with maple syrup or mustard for more flavor, if you wish. Place a whole Canadian bacon log into a shallow roasting pan. Add just enough water to cover the bottom of the pan. Mix a glaze, starting with equal parts maple syrup or honey, and mustard, adding more or less of any of the ingredients based on your taste preference. 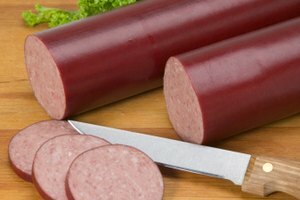 Instead of, or in addition to mustard, you can use other complementary flavorings, such as a sweet barbecue sauce, apple cider or an apple jelly. Pour the glaze into a saucepan and place on the stove over low heat, which will thin out the consistency for easy glazing. 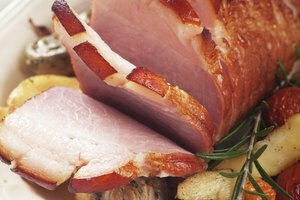 Brush the glaze generously all over the Canadian bacon roast with a basting brush. Reserve some of the glaze for basting later. Cover the roast with foil and place in the oven. Keep the roast covered until the internal temperature reaches 140 F.
Remove the foil and add more glaze to the Canadian bacon roast. Return to the oven for another 5 minutes to set the glaze. Slice and serve hot. Ask for whole, unsliced Canadian bacon at the deli counter of your grocery store. 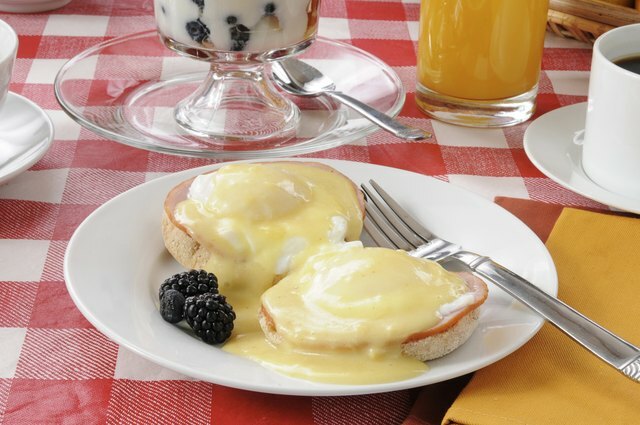 You can use Canadian bacon slices for a variety of recipes, including eggs Benedict and baked egg cups. 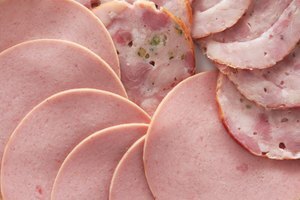 Chopped up into small pieces, Canadian bacon can also be used in salads, or as a pizza topping. Canadian-style bacon in Canada is different than the Canadian bacon in the U.S. It is called peameal bacon and comes in a loaf shape, covered with a cornmeal crust.